Defining the Toronto skyline is the CN Tower. At a height of 553.33 meters (1,815 ft, 5 in) it is the world's second tallest freestanding structure, and the tallest tower in the western hemisphere surpassing Chicago's Sears Tower by 110 meters in height. 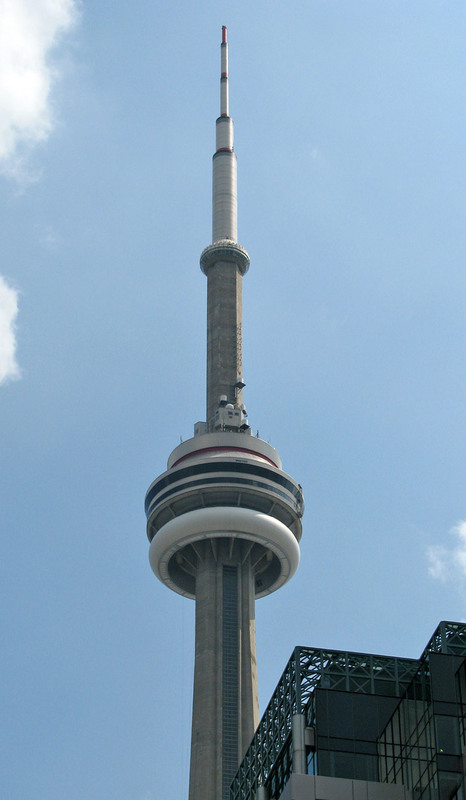 It is an important telecommunications hub, and a centre of tourism in Toronto. Toronto is a city of high-rises, having over 2,000 buildings over 90 meters (300 ft) in height, second only to New York (which has over 5,000 such buildings) in North America. Most of these buildings are residential (either rental or condominium, where as the Central business district contains the taller commercial office towers). 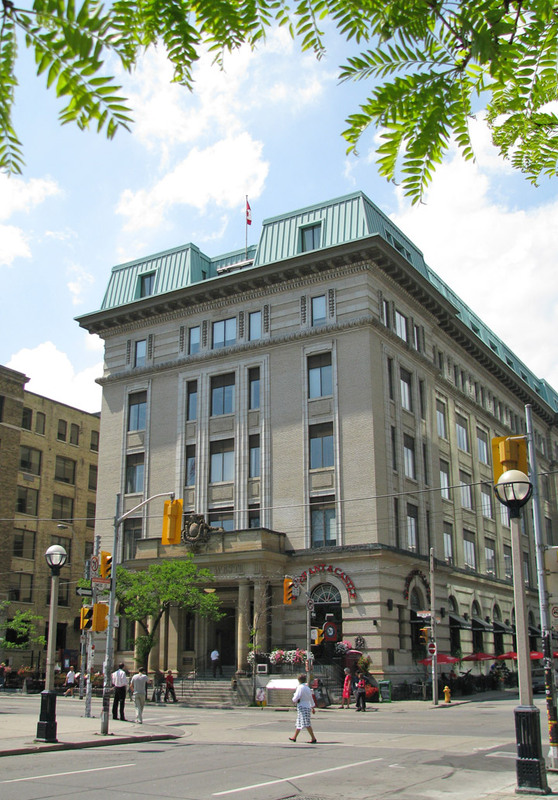 There has been recent media attention given for the need to retrofit many of these buildings, which were constructed beginning in the 1950s as residential apartment blocks to accommodate a quickly growing population. 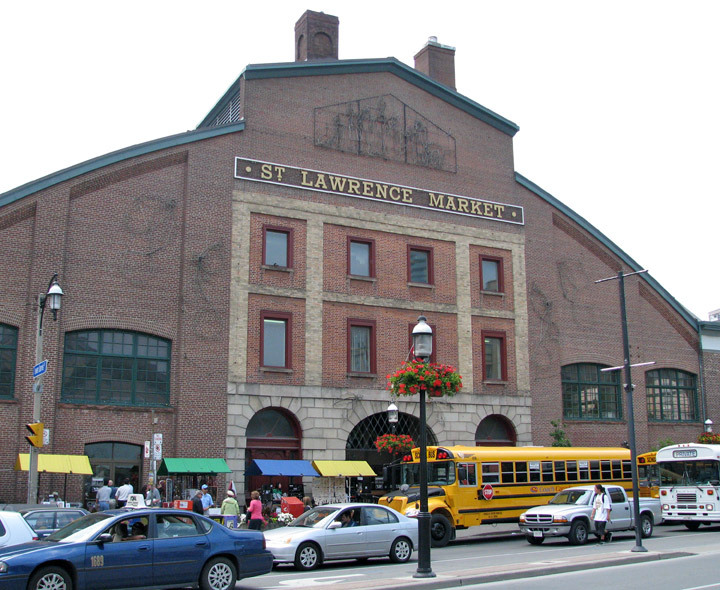 Many of the older buildings are shown to give off high concentrations of CO2 and are thought to be a significant contributor to the urban heat island effect, in addition to the aesthetic concerns as many of the buildings are viewed by many as urban blights often surrounded by limited landscaping and concrete parking lots without integration with the surrounding neighborhoods. In contrast, Toronto has also begun to experience an architectural overhaul within the past five years. The Royal Ontario Museum, the Gardiner Museum, the Art Gallery of Ontario, and the Ontario College of Art and Design are just some of the many public art buildings that have undergone massive renovations. The historic Distillery District, located on the eastern edge of downtown, is North America's largest and best preserved collection of Victorian era industrial architecture. 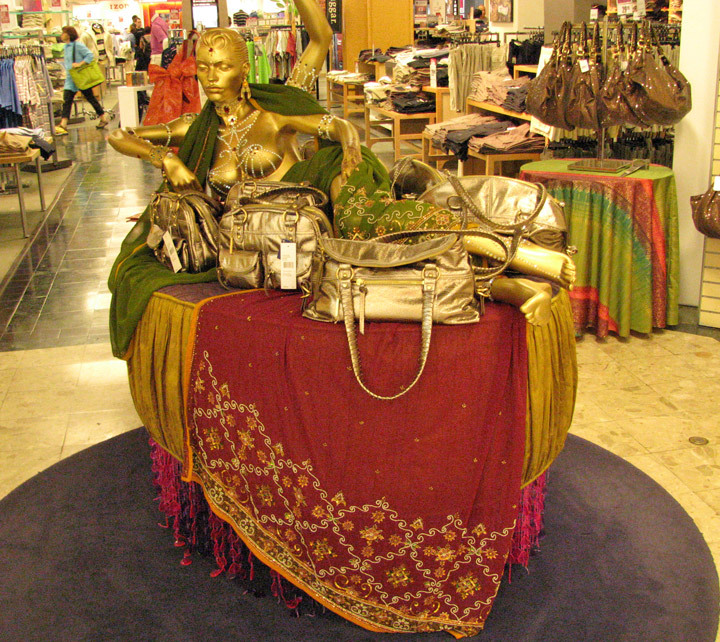 It has been redeveloped into a pedestrian-oriented arts, culture and entertainment neighborhood. 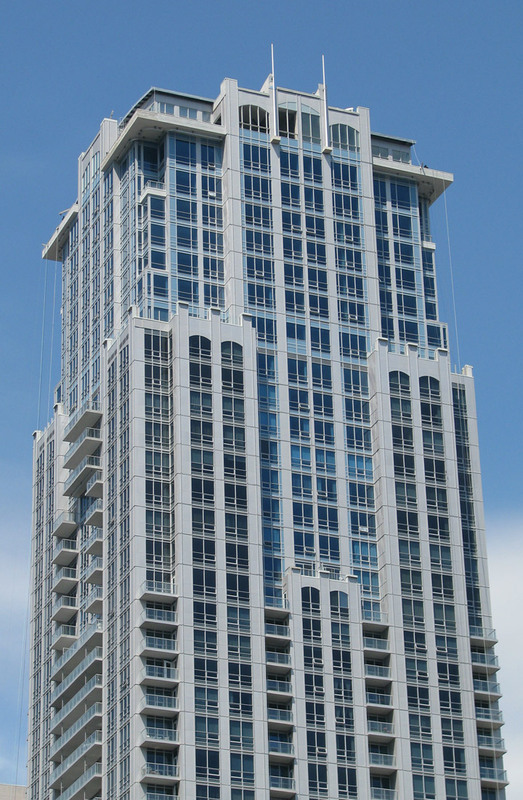 Modern glass and steel high rises have begun to transform the majority of the downtown area as the condominium market has exploded and triggered widespread construction throughout the city's centre. Trump International Hotel and Tower, Ritz-Carlton, Four Seasons Hotels and Resorts, Shangri-La Hotels and Resorts are just some of the many high rise luxury condominium-hotel projects currently under construction in the downtown core. 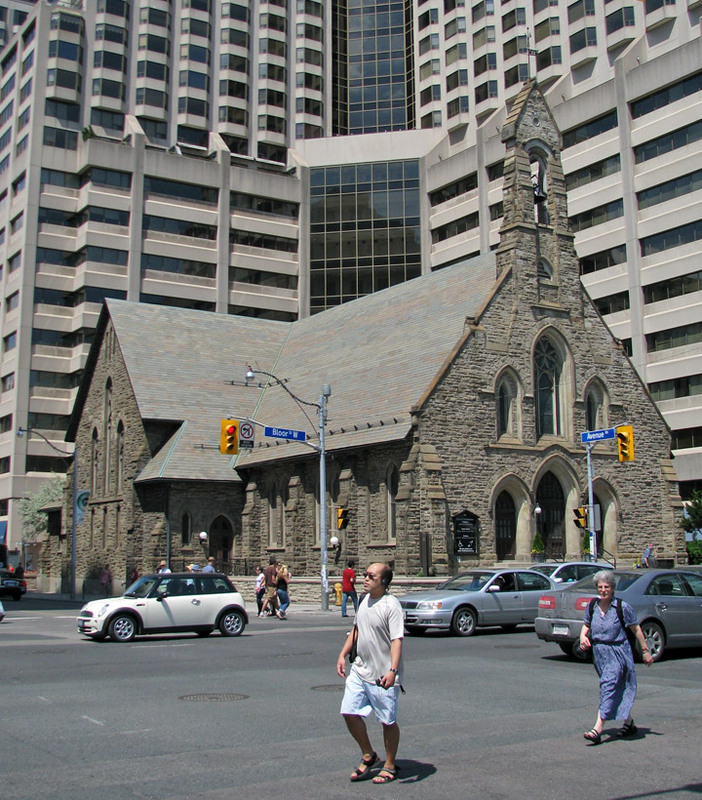 The many residential communities of Toronto express a character distinct from that of the skyscrapers in the commercial core. 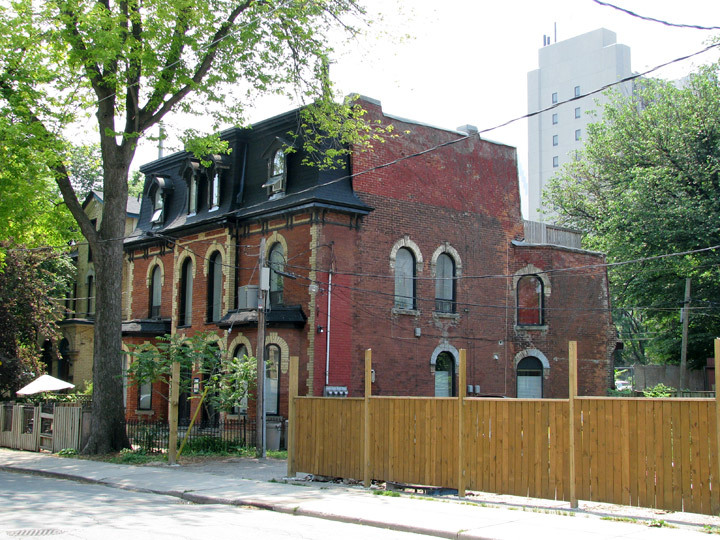 Victorian and Edwardian-era residential buildings can be found in enclaves such as Rosedale, Forest Hill, Cabbagetown, the Annex, the Bridle Path and Moore Park. Wychwood Park is historically significant for the architecture of its homes, and for being one of Toronto's earliest planned communities. 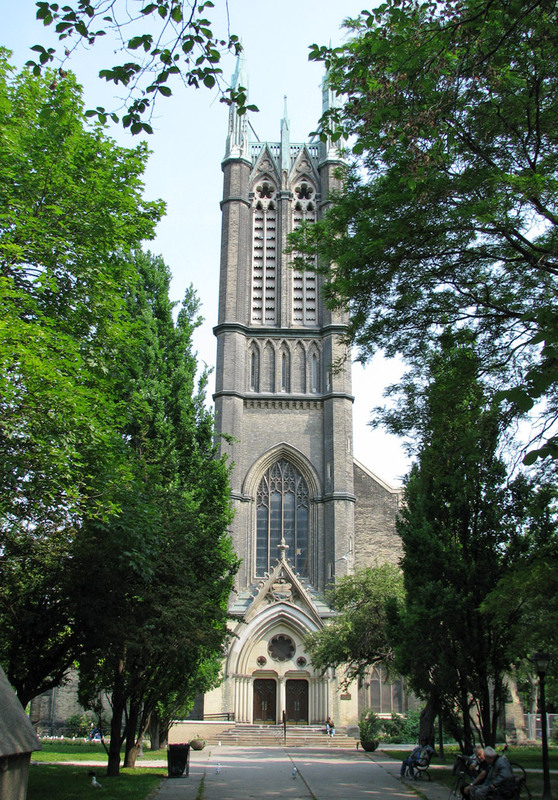 The Wychwood Park neighbourhood was designated as an Ontario Heritage Conservation district in 1985. 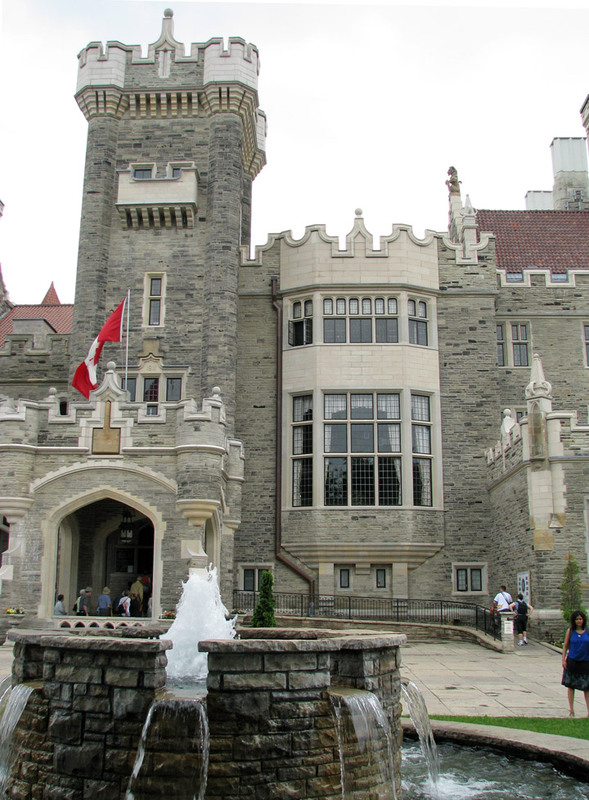 The Casa Loma neighborhood is named after Casa Loma, a castle built in 1911 that had an elevator, secret passages, and bowling alleys. Spadina House is a 19th century manor that is now a museum. The City of Toronto encompasses a geographical area formerly administered by six separate municipalities. These municipalities have each developed a distinct history and identity over the years, and their names remain in common use among Torontonians. Throughout the city there exist hundreds of small neighborhoods and some larger neighborhoods covering a few square kilometers. Former municipalities include East York, Etobicoke, North York, Old Toronto, Scarborough, and York. 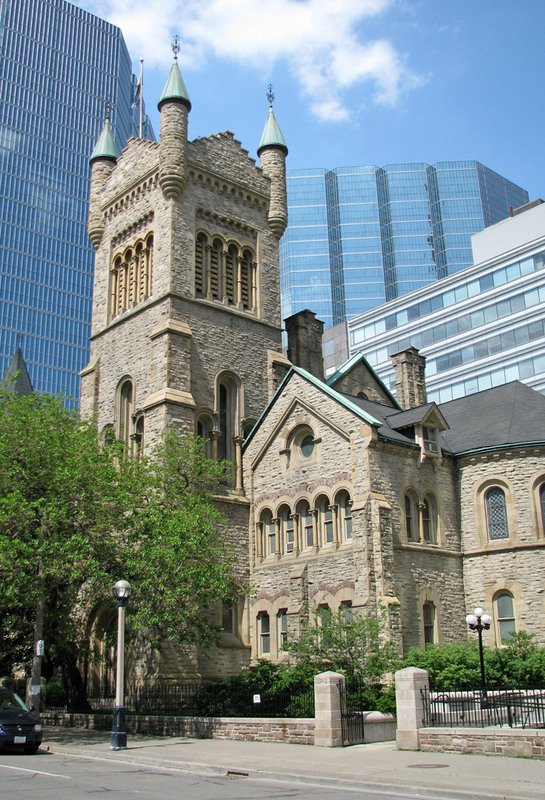 The Old City of Toronto covers the area generally known as Downtown. 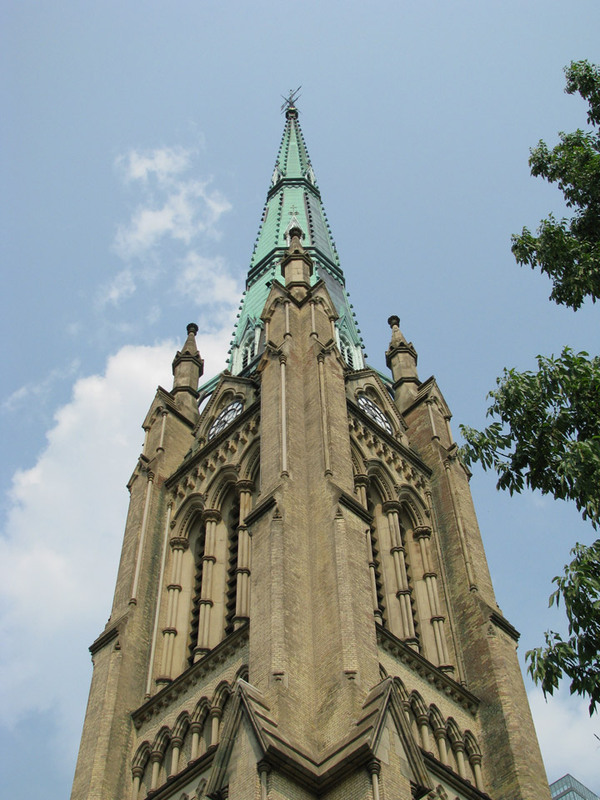 It is the historic core of Toronto and remains the most densely-populated part of the city. 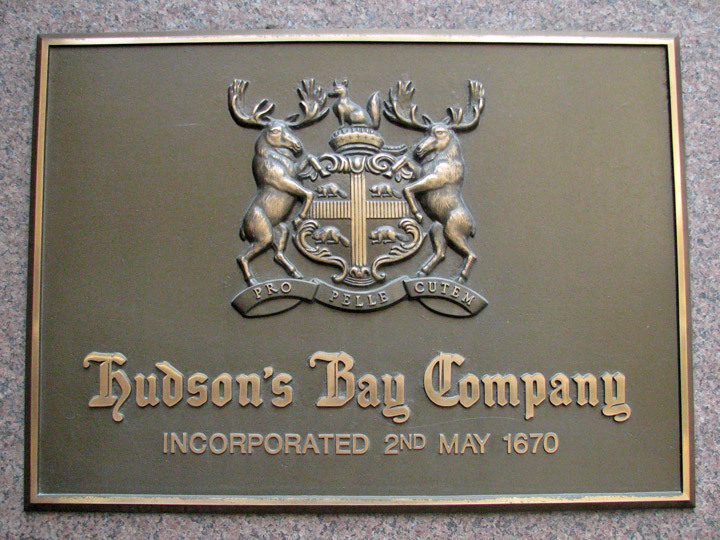 The Financial District contains the largest cluster of skyscrapers in Canada, including the First Canadian Place, Toronto Dominion Centre, Scotia Plaza, Royal Bank Plaza, Commerce Court and Brookfield Place. From that point, the Toronto skyline extends northward along Yonge Street. 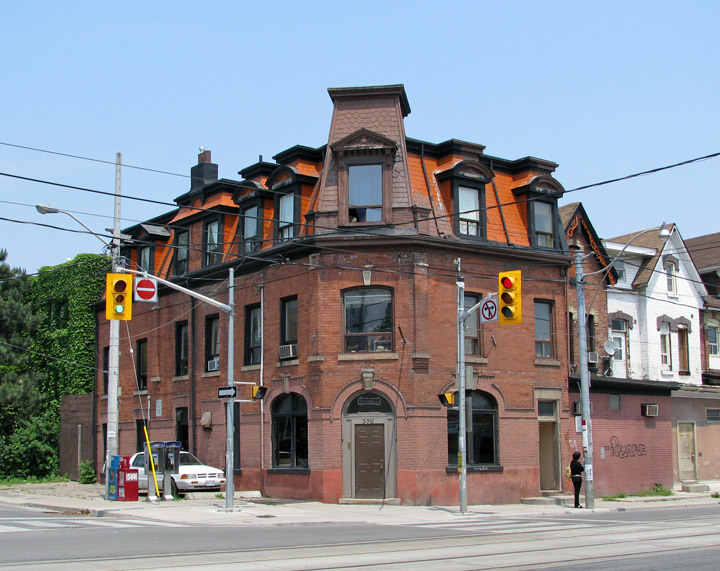 Old Toronto is also home to many historically wealthy residential enclaves, such as Yorkville, Rosedale, The Annex, Forest Hill, Lawrence Park, Lytton Park, Moore Park, and Casa Loma, most stretching away from downtown to the north. These neighborhoods generally feature upscale homes, luxury condominiums and high-end retail. At the same time, the downtown core vicinity includes neighborhoods with a high proportion of recent immigrants and low-income families living in social housing and rental high-rises, such as St. James Town, Regent Park, Moss Park, Alexandra Park and Parkdale. East and west of Downtown, neighborhoods such as Kensington Market, Leslieville, Cabbagetown and Riverdale are home to bustling commercial and cultural areas as well as vibrant communities of artists with studio lofts, with an increasing proportion of middle and upper class professionals that mix with the working poor or those on some form of government assistance. Other neighborhoods in the central city retain an ethnic identity, including two Chinatowns, the popular Greektown area, the trendy Little Italy, Portugal Village, and Little India along with others. The inner suburbs are contained within the former municipalities of York and East York. These are mature and traditionally working class areas, primarily consisting of post-World War I small, single-family homes and small apartment blocks. Neighborhoods such as Crescent Town, Thorncliffe Park, Weston, and Oakwood-Vaughan mainly consist of high-rise apartments which are home to many new immigrant families. Recently, many neighborhoods have become ethnically diverse and have undergone gentrification, as a result of increasing population and a housing boom during the late 1990s and 2000s. 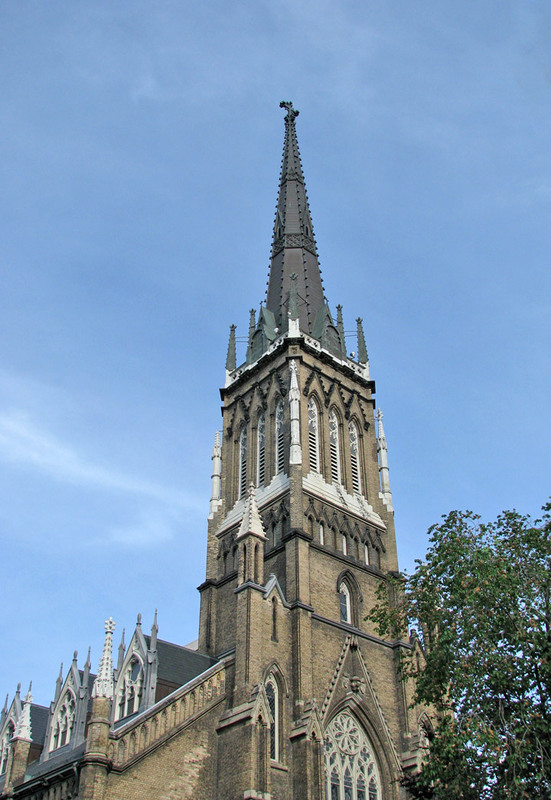 The first neighborhoods affected were Leaside and North Toronto, gradually progressing into the western neighborhoods in York. Some of the area's housing is in the process of being replaced or remodeled. The outer suburbs comprising the former municipalities of Etobicoke, Scarborough and North York largely retain the grid plan laid before post-war development. Sections were long established and quickly growing towns before the suburban housing boom began and the advent of Metro Government, such as Mimico, Newtonbrook and West Hill. Suburban development grew quickly after the second war to include such upscale neighborhoods as the Bridle Path in North York, the area surrounding the Scarborough Bluffs in Guildwood, and most of central Etobicoke, such as Humber Valley Village, and The Kingsway. One of largest and earliest "planned communities" was Don Mills, parts of which were first built in the 1950s. Phased development mixing single-detached housing with higher density apartment blocks became more popular as a suburban model of development. To some this model has been copied in other GTA municipalities surrounding Toronto, albeit with less population density. 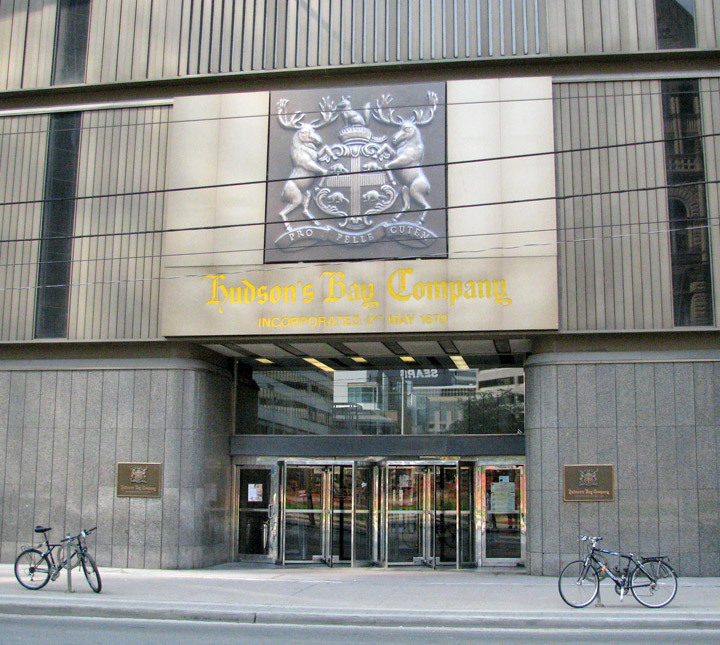 More recently, North York Centre that runs along Yonge Street and the Scarborough City Centre have emerged as secondary business districts outside the downtown core. High-rise development in these areas have given North York and Scarborough distinguishable skylines of their own and a more downtown feel with high-density transit corridors serving them. Historically, as Toronto sprawled out, industrial areas were set up on the outskirts. Over time, they would become part of the inner city as more land was developed further out. 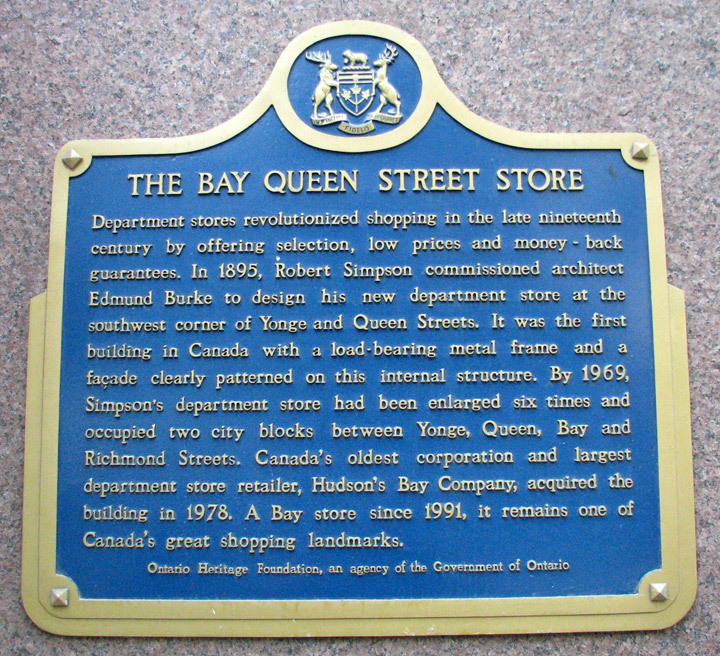 This trend would repeat itself, and continues to this day, as the largest factories and warehouses have moved to Peel and York Regions, and the vast majority of industrial areas are in the more suburban parts of the city; Etobicoke (particularly around the airport), North York, and Scarborough. Thus, many of Toronto's former industrial sites have been redeveloped, most notably the Toronto waterfront, and Liberty Village. One of Toronto's most unusual neighbourhoods, the Distillery District contains the largest and best-preserved collection of Victorian industrial architecture in North America. A national heritage site, it was listed by National Geographic magazine as a "top pick" in Canada for travellers. 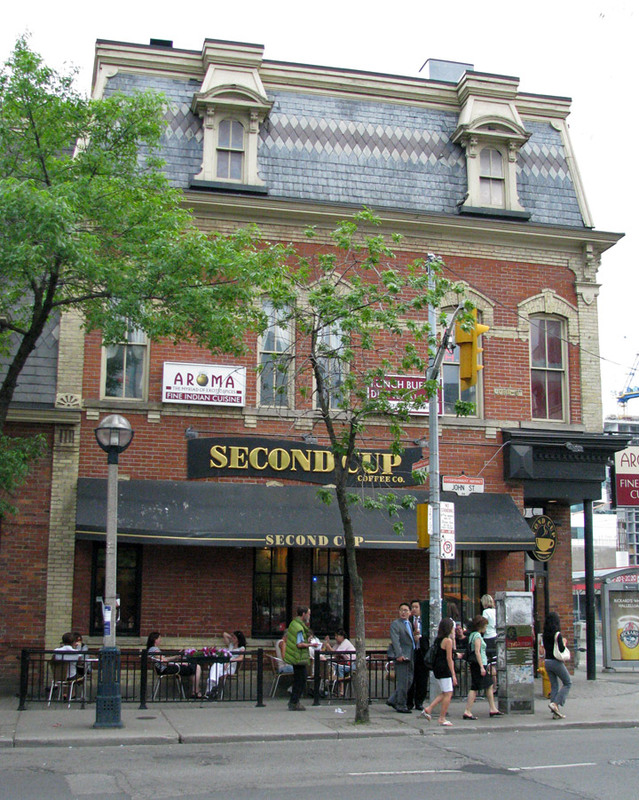 Similar areas that still retain their character, but are now largely residential are the Fashion District, Corktown, and parts of South Riverdale and Leslieville. Toronto still has some active older industrial areas, such as the Brockton Village, and New Toronto areas. In the west end of Old Toronto and York, the Weston/Mount Dennis and Junction areas have a sense of grit to them, as they still contain factories, but are mostly residential. Toronto has a diverse array of public spaces, from city squares to public parks overlooking ravines. There is even a group called the Toronto Public Space Committee, formed to protect the city's public spaces. Nathan Phillips Square is the city's main square in downtown, and forms the entrance to City Hall.